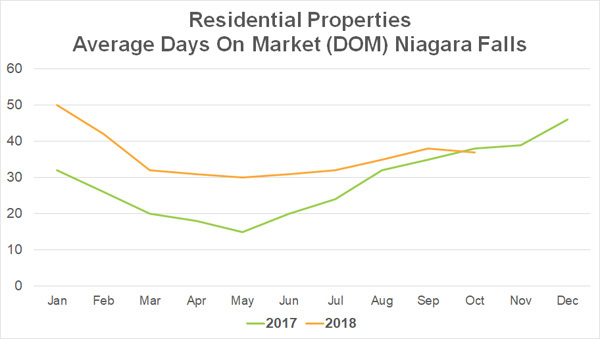 As seen in the above chart, the real estate market in the Niagara Region is very stable. The number of sales year over year are consistent and generally the prices are increasing at a steady rate. 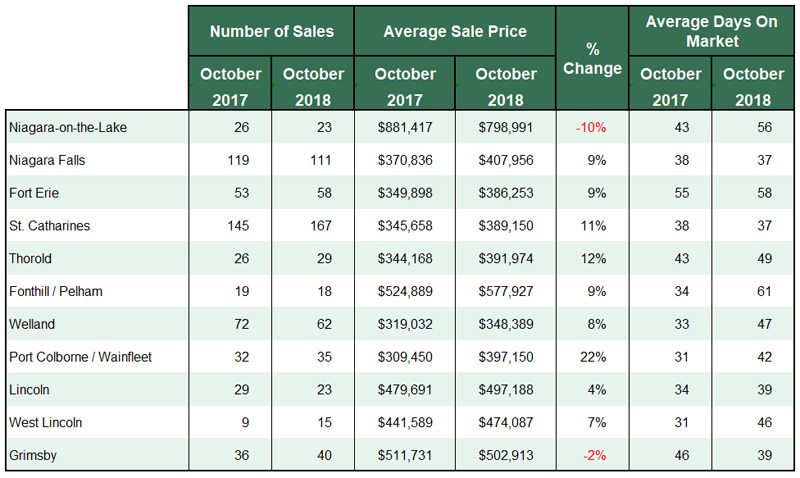 The drop in average sales price in four of the municipalities this month compared to the same time last year is not completely representative of the general market. 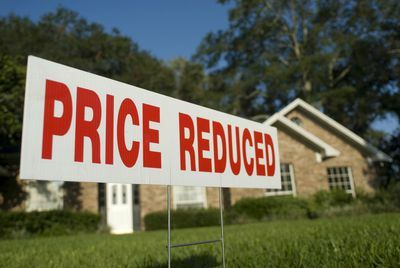 Though there is some balancing out in some areas, sometimes the average prices can be skewed depending on what did or did not sell in a particular month. The market is balanced, which is good news for both buyers and sellers. It is a great time to upsize or downsize your home. To learn more about how the market might affect you contact Ashley Czinege or Barbara Grumme for a no obligation, no charge consultation. 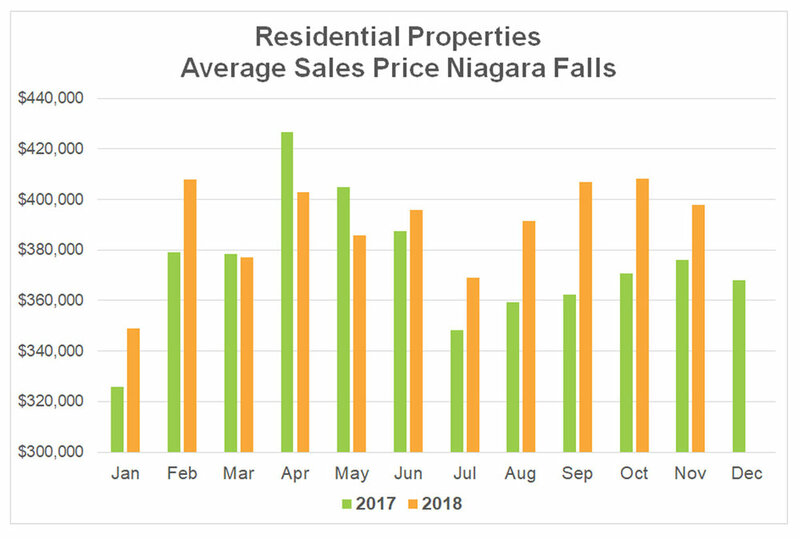 The average sales price for residential properties in Niagara Falls has been consistently higher than last year’s prices for the past 6 months. This is a trend that is likely to continue with a moderate, but steady increase in home values. 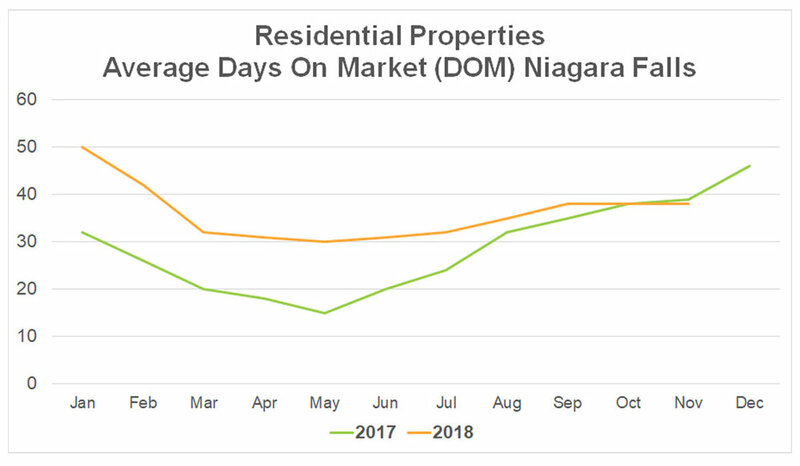 The number of days to sell a residential property in Niagara Falls has been relatively consistent over the past 12 months. The feverish market in the spring of 2017 has calmed and on average, your home in Niagara Falls will sell in approximately 38 days. This is great for people who are looking to sell and buy a new property, giving you time to find the right property for you. *The above statistics are based in whole or in part on the MLS® System data owned by the Association. 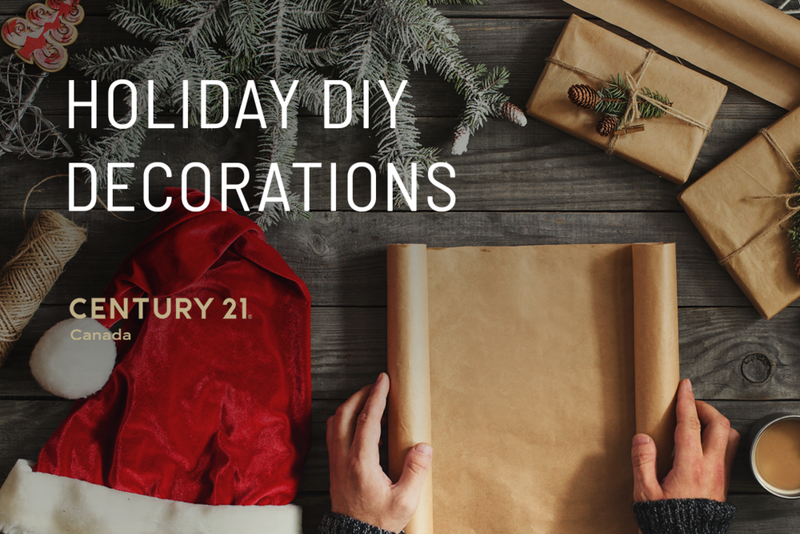 Get creative this Christmas and try making your own holiday decor/gifts. These three DIYs are easy and quick to make, plus they will make you look a Pinterest master! Are you ready to impress your friends and family? This cute wine bottle light makes for a beautiful decoration-- plus it is a great excuse to drink wine! Place battery operated fairy lights in bottles. 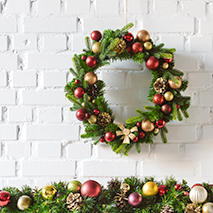 Make a great first impression with a beautiful holiday entrance. 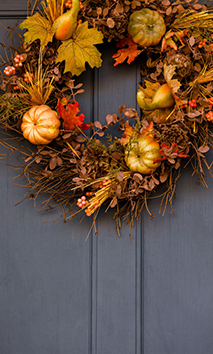 Make your own wreath (or buy one if you’re short on time) to display on your front door. Decorate your front entrance way so guests feel instantly festive once they walk in the door. It can make all the difference! One of the nicest things about the holidays is having several generations of friends and family under one roof. Get some baby toys in if you have some little guests coming and ensure that your house is accessible for elderly visitors to prevent any accidents. Both of these seem like small simple things but will make a big difference when you’re cooking and then after the holidays. Your fridge and your oven will be the two busiest spots in your kitchen over the holidays so keep them clean to avoid less clean up post holidays. 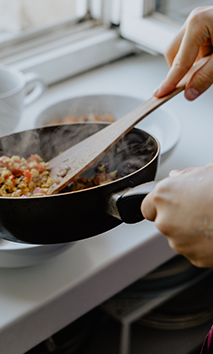 We all focus on the big meals over the holidays but it is easy to forget to stock up on ingredients for the day to day meals. Before all your guests arrive, plan ahead and cook up a week’s worth of food for the freezer so you will always have back up! 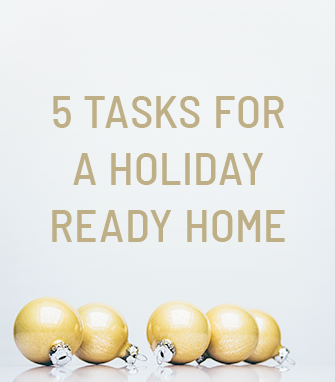 The easiest and best way to get your house ready for the holidays is to get it smelling like the holidays. 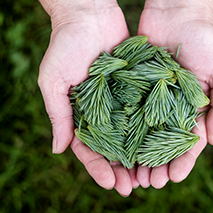 Use essential oils such as balsam needle, eucalyptus, citrus, cloves and vanilla to create your own holiday scent. After the deal was firm, the seller noticed a water leak in the basement. He then discovered a crack in the basement wall and had it corrected with a 25-year transferable warranty to the buyers. The insulation on half the height of the basement wall was partially removed and subsequently taped back once the correction to the wall was made. The seller now disclosed it to the buyers. On inspecting the remedial work the buyers noticed sweating on the insulation inside the vapor barrier. They became suspect and wanted the seller to remove all of the insulation on the damaged wall, to see whether other cracks existed. The seller declined the request and would not allow the buyers any further inspections. Though not agreed to in the contract, the seller felt they had already generously given the buyer a number additional inspections to measure the kitchen for a renovation quote, and to measure for flooring and other updating plans. The seller said that once the deal closed and the buyers owned the property they could open it up themselves. 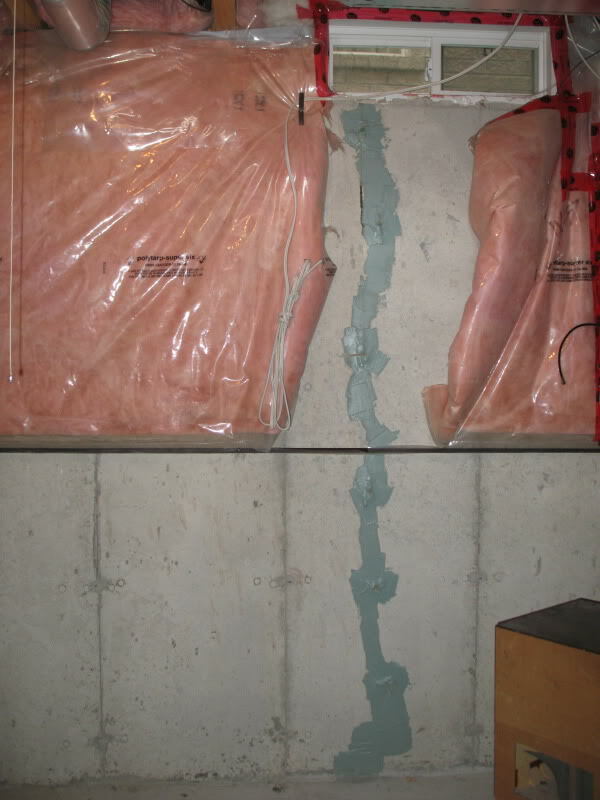 If by chance other cracks were discovered, which they doubted, the seller suggested they could contact the concrete subcontractor that built the basement and/or the builder of the home. Typically, however, the basement subcontractor gives a 2-year warranty on the foundation and at this point the house is 10 years old. Though unlikely, if any such extended warranty existed, the seller should produce written evidence of its existence and transferability. The buyers were instructed to talk to their lawyer. They, however, said that they didn’t want to complicate the matter with lawyers and wanted the sales representatives to help work it out. The respective sales reps, though, could do no more as the seller was firm on his position. On consulting with their lawyer, the buyers closed on the deal and subsequently no further problems were discovered. The seller was forthright in making the buyer aware of the leak, the crack and the fix. As advised, the buyers were wise to close. Under our system, if additional cracks were found they could go after the seller, though the onus would be on them to prove the seller was aware of other cracks. If the buyers chose not to close they could be sued for breach. Before closing lawyers typically ask if the buyers have performed a final viewing and whether they noticed any issues compared to when they initially saw the house. The buyers then tell about the crack and fix…as well as other concerns should they have any. They can try to negotiate a holdback until they discover if other cracks are present. They might attempt a price reduction. They could threaten not to close, leaving them open to legal action: a risky idea. Closing was the right approach. You’re familiar with sweater weather, hot chocolate season and the holidays. But this time of year is also the start of storm season. With the cold weather coming in, it is time to start preparing for winter storms and power outages. 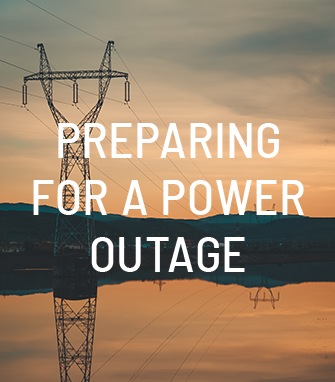 The best way to avoid a total blackout is to get a backup generator, but you will also need a good stock of supplies to get you through the storm. A storm bin to keep in your home during all seasons, will be especially handy during in the winter time! 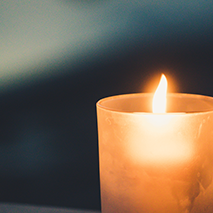 Candles and flashlights are essential in any storm bin. Make sure you have a lighter/matches and extra batteries in there as well. Experts recommend four liters of water per person per day in your storm bin. 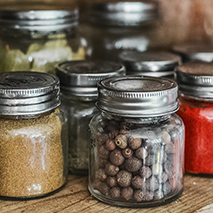 For food you will want to have nonperishable items that are quick and easy to cook. Soup, chili and beans make for great meals. It is worth investing in a small camping stove and a couple of canisters of propane, so you have something to cook on. Throw in some granola bars and snacks in there too just to be safe. You never know how long the power could be out for and how long you could be without heat. 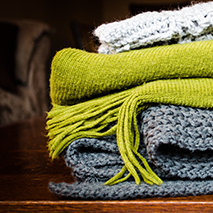 Have extra blankets and sleeping bags readily available to get cozy when the temperature starts to dip. If there is a big storm forecasted, it could be wise to be ready to work from home. Bring your computer home and save everything just in case the power goes out. You don’t want to come in after a power outage to find all your hard work gone! In times like these it is important to stay positive and try to find light in a dark situation. Cards and board games are easy to pull out for entertainment while you are camped out in the dark! Prepare Your Home For Winter: 10 Tips! Winter is not quite upon us yet, but here in the Niagara region cold weather has a habit of creeping up on us suddenly and without warning. With that in mind, don’t wait too long to prepare your home for winter before the cold temperatures hit. To help you get going, here are 10 quick tips! If you have wooden windows, check them carefully for decay or rotting. If they are damaged, repair or replace them to keep the heat from escaping your home. Another way to prevent heat from escaping is to check the weatherstripping on your doors and windows and replace them if required. Also check the windows themselves for cracks or gaps. 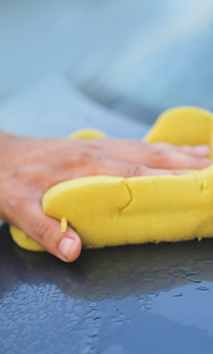 If you find that your windows are damaged, repair or replace them before winter. If there are overgrown branches on your property, make sure that they are not too close to the home or to electrical wires. If they are, be sure to trim them because the weight of snow and ice combined with strong winds could bring these branches down. If you have stairs on the outside, check to make sure that they are secure. Their integrity is sure to be tested by the ice and snow. Check carefully to make sure that the firebox and flue system are clear of creosote and/or soot. Also check for cracks to avoid fire hazards. In order to ensure that your furnace is functioning at full capacity and that the indoor air is clean, check to see the condition of your filters. Clean or replace them as needed. Always check the smoke alarms and carbon monoxide detectors inside your home on a regular basis. 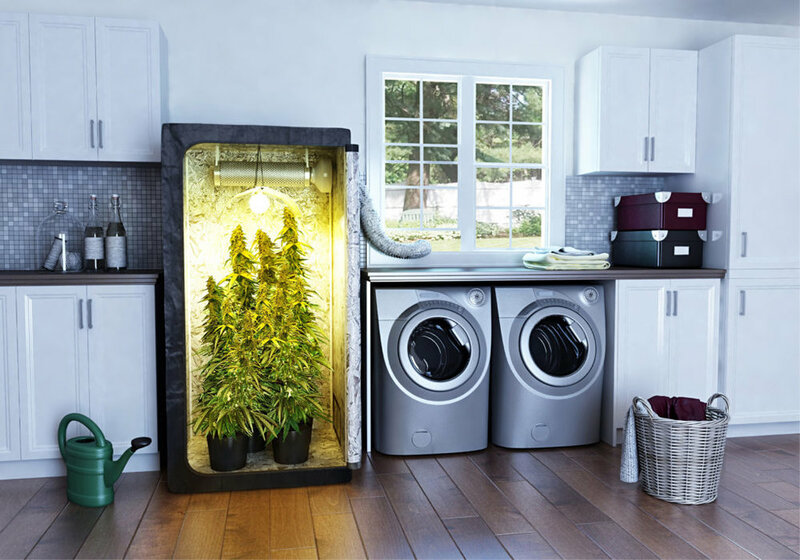 Plug up any leaks that you find in the basement, in the attic, or in crawl spaces. Ice and snow build up can become so heavy that it can cause gutters to collapse. Before winter sets in be sure to check that all of the gutters are properly fastened, and if you notice any sagging or loosening, tighten them up as soon as possible. While this is not an exhaustive list, these 10 tips will get you well on your way to preparing your home for winter. For more information, feel free to call Barbara Grumme or Ashley Czinege at 905-356-9100. As hard as it is to say goodbye to summer there is something very comforting about snuggling up in a warm sweater, watching the leaves drop and of course the best part about fall- thanksgiving! As we cover up the BBQ and put away the patio furniture we must now bring our summer entertaining indoors. 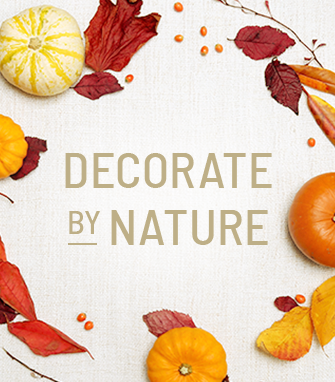 But don’t fret- we’ll help you bring some of the outdoors to your Thanksgiving entertaining with our nature inspired decorating tips! Thanksgiving is all about taking the time to be grateful for what we have so why not write these things down? You don’t need much to make a thankful tree, just a small potted tree, some scrap paper and fishing line or thread. 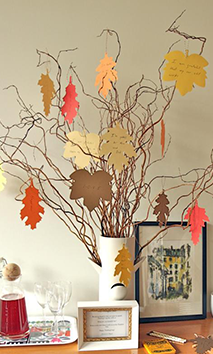 During dinner get your guests to write down what they are thankful for and hang them on the tree. 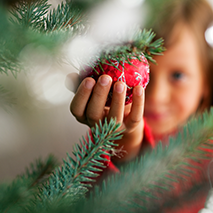 Keep the tree up past Thanksgiving to remind yourself of all the wonderful things in your life. 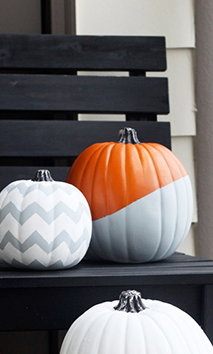 Give your pumpkins some spice, elegance and charm by painting them. For an elegant look try painting them white and, for something jazzier, use teal or pink. It will give a little more attitude to your Thanksgiving table. It’s not uncommon for people from all over the world to get the urge to visit Niagara Falls. For over 100 years now, it’s been one of the world’s most popular destinations. While most visitors make their way to the Falls and surrounding area during the balmy summer months, autumn has an appeal that’s hard to deny. From the thinned out crowds to the fantastic foliage, here are four reasons October is the perfect month to take your Niagara Falls vacation. One reason people are often more inclined to visit the area during the height of the tourist season is due to the fact that all the fun rides and attractions are going full-tilt.While October does see some reduction in hours and entertainment, for the most part, the fun is still accessible.In particular, Hornblower Niagara Cruises is still in operation during the month of October.There is simply no better way to get up close and personal with Niagara Falls while getting doused with spray and deafened with what sounds like thunder, you can do it just as easily in October as you can in July. Some people genuinely enjoy the thrill of a crowd, but if you aren’t one of them, planning an October trip is a perfect way to see the Falls without triggering your agoraphobia. 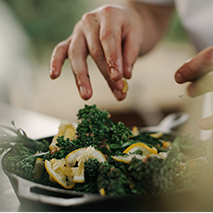 Reservations at the area’s finest restaurants are easier to get. Tickets to shows are more readily had. Just strolling around town or gazing at the Falls is more easily accomplished when the happy glut of visitors has mostly gone home. It’s true that the summertime crowds can feel electric thanks to the energy and cosmopolitan nature of the thousands upon thousands who show up to experience the place. If you don’t need that sort of electricity, however, October’s slower and less-peopled pace is ideal. It’s not as if it ever gets really hot in Niagara Falls. The weather’s remarkable mildness is one of the reasons the grapes produced along the Niagara Peninsula produce such excellent wines. That being said, the autumn weather is often perfect. The sweet chill in the air can often be taken care of with little more than an extra windbreaker or sweatshirt during the mornings and evenings. It can rain a bit, so you’ll want to bring an umbrella and galoshes, but overall, fall in Niagara Falls usually includes plenty of sun. The Niagara Region is a very fertile place, and the autumn highlights the ways the changing seasons affect it remarkably. Whether you love to hike or you love driving around the countryside, taking Niagara in during the month of October is often a feast of autumn colour that can rival New England. You’ll definitely want to bring your camera. So, plan your vacation for the Niagara region during the month of October. As these five reasons more than show, it’s the perfect time to visit. When an Abandoned Gas Well is Discovered? The home purchased had an additional back piece of vacant land attached to the property. On viewing the home before buying, the buyer did not inspect the back parcel. On searching title, the buyer’s lawyer obtained a copy of an old survey that indicated an abandoned oil well on a corner of the attached back parcel. 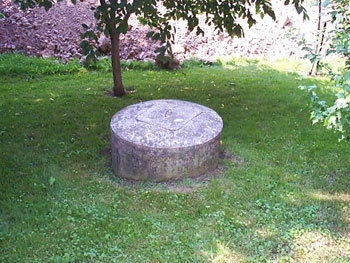 With its discovery, the buyer inspected the back parcel found the well, visible from the surface and took a picture. He noted the smell of gas in and around the well. He was somewhat upset as he felt the gas well’s existence should have been disclosed. He discussed his concern with both his lawyer and real estate agent. His lawyer asked for a price reduction through the seller’s lawyer and some three days later still hadn’t received a response. The buyer now turned to his brokerage. He wanted the property but also wanted some resolution. Recognizing this as a problem, brokerage did some research and made some of the following discoveries. So it’s important to report and plug abandoned wells. If there is no gas well operator to be found, the landowner is responsible for plugging the well. In our search, we thought we located the well in the Oil, Gas & Salt Resources Library and reported our findings to the Ministry. As they could not find it in their database, they recommended the buyer hire a consultant. 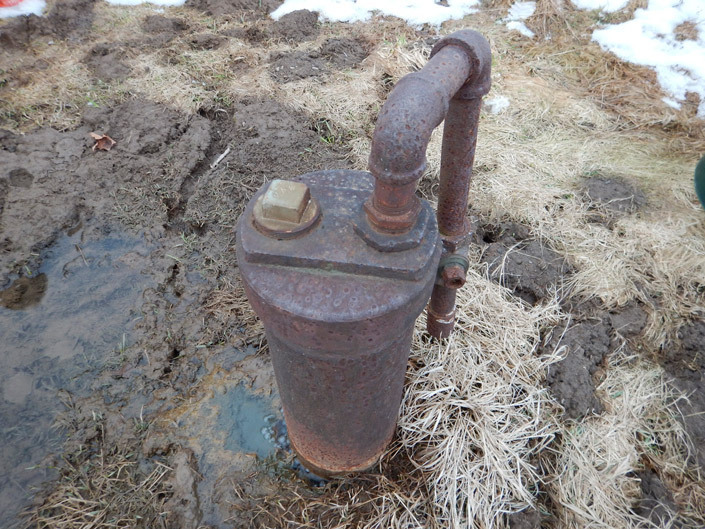 Apparently unlicensed and abandoned gas wells, not properly decommissioned, abound in southwestern Ontario. The cost of plugging a well can range from as little as $2,500 to thousands. In one reported case the landowner ended up being on the hook for $20,000. By now some days had gone by and the closing date was fast approaching. The buyer hired a contractor who estimated a cost of $28,500 to properly plug the well. Armed with this quote, the parties negotiated a reduction in purchase price of $25,000, with the buyer agreeing to take responsibility to plug the well after closing. This should have been disclosed before the buyer made an offer. Luckily it was discovered before the deal closed. REALTORS would be wise to walk the property prior to listing and have the seller fill out the “OREA Property Information Checklist" to uproot any required disclosures. As hard as it is to say goodbye to summer there is something comforting knowing that it is almost time for sweaters, changing leaves and of course pumpkin spice everything. 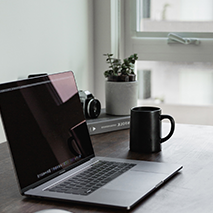 With the change of seasons comes a change of routines and the inevitable stress of switching from summer mode to back to school and work mode. 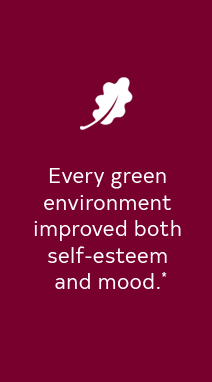 But don’t fret- we are here to help you get your house ready so you’ll be able to enjoy fall! Your calendar will become your best friend this school year if you use it properly. We recommend having two calendars, one for the week and one for the month. This way you can see what you need for the day to day as well as into the future. Century 21 Tip: Use a blackboard for your weekly calendar! This will allow you to change and add things as the week goes by. As we all know – nothing ever stays the same day to day! A slow cooker/ Instant Pot, this will help you cook faster and more efficiently. These are especially great for soups, sauces and meat! 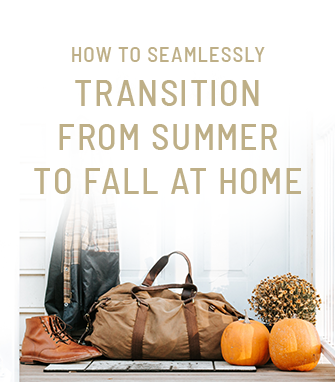 As it hard as it might be, it’s time to put away your summer clothes. Only keep out what you will use, this well help you mentally get ready for fall. 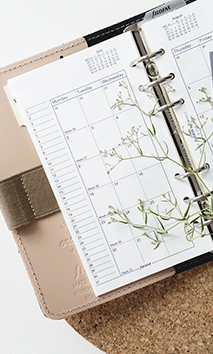 When it comes to chores, decide what your top priorities are and set realistic cleaning schedules for your chores. Saying you will dust, mop and clean the windows every week is likely not going to happen (you are only human) so don’t set yourself up to fail. Like your weekly calendar, set up a cleaning schedule for daily, weekly and monthly cleaning duties and assign tasks to each family member. Many hands make light work! 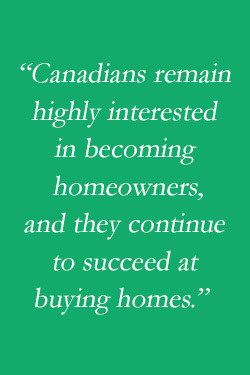 In July 2018, the Mortgage Professionals Canada released their Report on Housing and Mortgage Market in Canada” authored by their Chief Economist, Mr. Will Dunning. The following is a small but important indication of what is in the report. The report points out that 18% of buyers who could actually afford the home purchase of their choice would fail the stress test. It’s estimated these buyers would have to adjust their purchase by an average of $28, 750. They would also need to increase the amount of down payment. 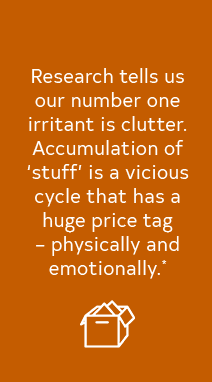 This affects about 120,000 buyers per year. To date this year, national resale home activity is down 12.5% compared to last year and 16.5% versus 2016. 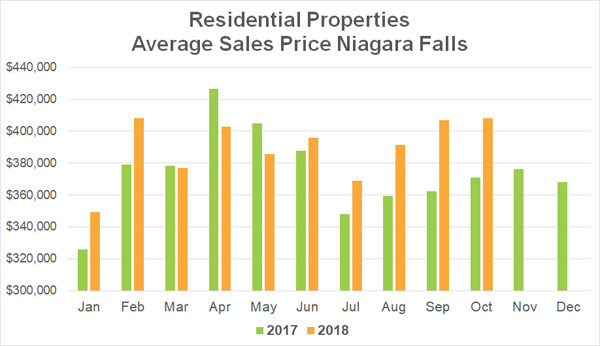 For the Niagara Region, the overall number of sales in resale homes is down by an average of 21% year-to-date to June 30, 2018. Since 1997 (2 decades) the national average price of resale homes has increased by 6.2% per year from $155,000 in 1997 to $510,000 in 2017. 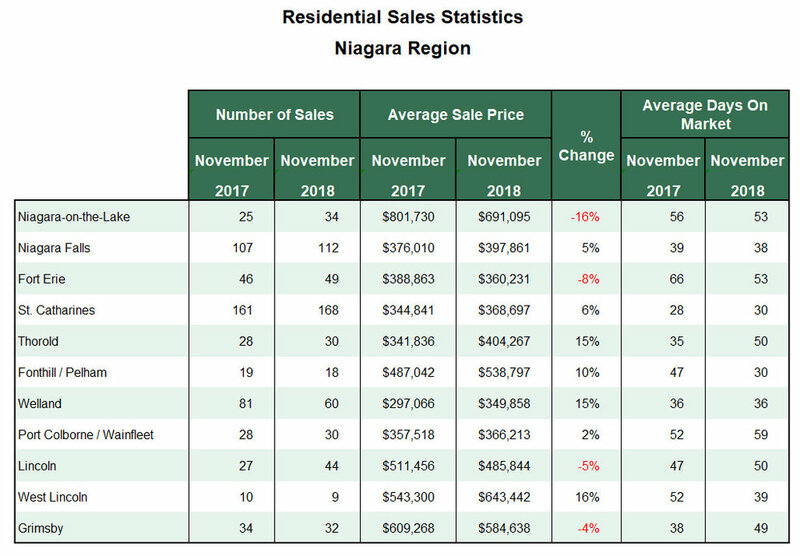 To date for 2018, the average price of homes in Niagara varies from a low of $334,000 in Welland to a high of $755,000 in Niagara-on-the-Lake. The overall average lies at $471,000. The increase in average price to the end of June is up 1.7% compared to last year. 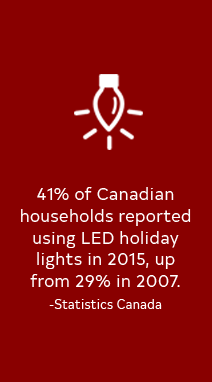 Yet this varies: some cities are indicating an increase, others a decrease from last year. As the main source, 85% of down payments come from personal savings. Another 39% derives from gifts from parents and other family members. 25% is sourced from loans from parents and other family members. 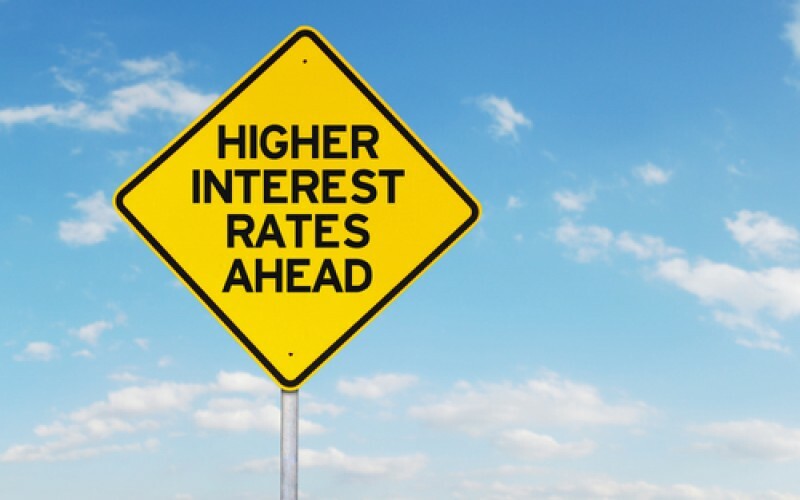 Loans for a down payment sit at 43%. From an employer, loans are at 8%. Withdrawal from RRSPs through the Home Buyers Plan: 38%. And finally down payments from other sources stands at 6%. The total down payments are made up of a combination of any number of the sources mentioned above. The most prevalent source, personal savings accounts for about 50% of the total down payment for first time buyers. During the 1990’s the average down payment for first-time purchases was about 22%. Between 2014 and 2017, the average has been 26%.